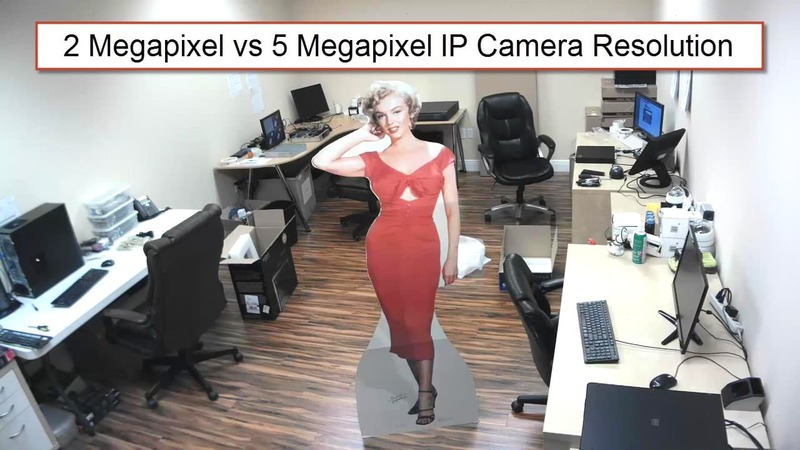 Want to compare 2 megapixel to 5 megapixel IP security camera resolution? Here is a quick blog post that contains surveillance snapshot images that we captured at CCTV Camera Pros office to show you the difference. Viewers should click on each image to see the full size view, then zoom in using your browser by clicking on the image again. You will not see any difference until you view the full size images. This 2 megapixel image was captured using a Zavio F3210 cube IP camera at 1920 x 1080 resolution. Please click on the image to see the full size or right click on the image and save. This 5 megapixel image was captured using a Zavio D7510 dome IP camera at 2560 x 1920 resolution. Please click on the image to see the full size or right click on the image and save.